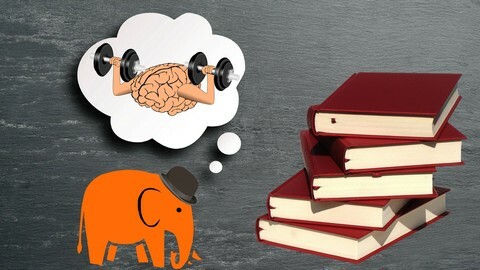 I can confidently say that this is the BEST and MOST COMPLETE memory improvement course I’ve ever released on Udemy! What is the challenge of this course? In the first place, I want to make you understand what memory improvement is about, and see for yourself just how simple and handy this skill is! After you understand how it works, and I guarantee that you’ll understand it after watching this course, improving your memory will be just a matter of consistency and practice. This course is the result of studying: dozens of books, totaling some thousands of pages, dozens of hours of e-learning courses, and of hundreds of hours of practical exercises and I think that it can give you a clear picture of what this wonderful hobby and skill can do for your life. In these lessons, you will find actionable, easy-to-apply concepts and activities that can be used immediately. Keep in mind that these methods and systems are tested and used by memory experts and they will also work for you! If you consistently apply the memory techniques presented in this course, in addition to improving memory, you will notice an improvement in the overall quality of your life! This course will take you on a journey of self-discovery, showing how your memory works, how to develop its full potential, and how to use it effectively in daily life. I guarantee, this is the most complete and up-to-date memory improvement course available ANYWHERE on the market—or your money back. I’m sure you will enjoy it and I can’t wait to be your guide and mentor on this exciting new journey!